Can You Hunt Yellowstone Grizzly Bears? The Yellowstone grizzly bear population is being delisted and the three state ecosystem may allow bear hunting in the future. Will you be able to hunt grizzly bears outside of Yellowstone National Park soon? The answer is possibly. In a surprise announcement from the Federal government recently, grizzly bears could be removed from federal protection after more than 30 years. The three-state yellowstone ecosystem could sanction hunting for the bears to help keep the population in check. The process of delisting the bears has begun according to the U.S. Fish & Wildlife Service. Wyoming, Montana and Idaho are the three states that surround the National Park and will make decisions regarding the hunting. Protection of the bears is no longer needed due to the population plateauing and the bears moving more than 80 miles outside of the park at times. Grizzly bears are protected in the Greater Yellowstone Ecosystem, a 22,500 square mile area of the Northern Rockies, but they have begun to spill out and enter other habitats. Bears would still be protected as they leave the Yellowstone area, but the population is sustainable and thriving. “We are regularly seeing grizzly bears more than 80 miles out in the prairies, and we expect to continue to see dispersals of bears” from their core habitat”, said U.S. Fish & Wildlife Service Director Dan Ashe. 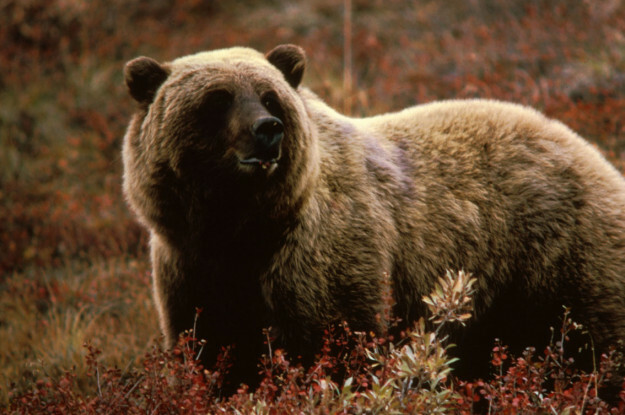 Ashe noted that the Yellowstone Ecosystem’s griz population has increased by more than 500 percent since they were first listed as an endangered species in 1981. Currently, the bears’ population is estimated at 700 individual bears according to the latest survey, but the real number could be closer to 1,000. The beginning of the end of federal protection of these grizzly bears has started but to completely delist them requires Idaho, Montana and Wyoming to put conservation plans in place that guarantee the populations wont fall below certain numbers. The states will put these plans together and then the process will continue moving along this summer. There could be hunting or they could not be, it just depends. Montana and Wyoming governors have not yet decided whether hunting will be allowed immediately. It’s a management tool possibility, but is definitely going to cause some controversy. At this point, we’re at the mercy of the government and we’ll have to play the waiting game on the Yellowstone Grizzlies. Check out more outdoor news on MorningMoss.